It doesn’t make the dog slip or run away as its height is good enough and its depth makes your dog not to get tempted for something. Relieves back pain as you can choose the suitable height from available options and don’t allow you to bend while bathing the dog. Bathing time is reduced and a positive association is made between you and your dog. This bath tub has a maximum weight capacity is 175 lbs. 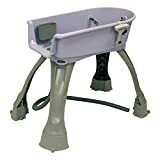 It is completely manufactured from lightweight plastic including the leg. 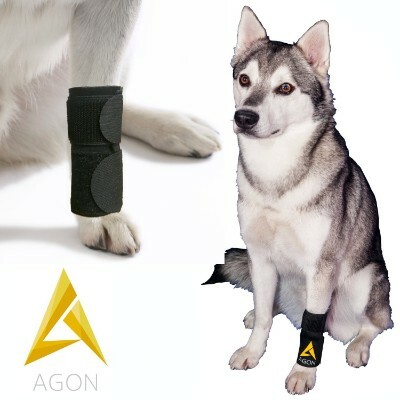 It is perfect for dogs that get nervous or agitated while grooming. It does not have any drain plug but an end is open for free drainage of bath water. One good thing about this bathtub is portability for large dogs because of its lightweight. Rubber bumper at the bottom keeps it stationary while the dog enters or exits. Rubberized no-slip mat prevents your dog to slide or slip during the bath. 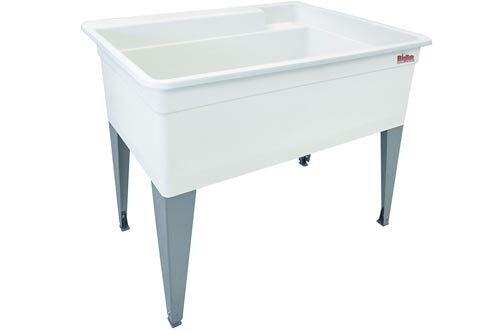 This bathtub is completely manufactured from lightweight plastic including legs and basin. This design is great for washing outdoor and other temporary location. It is available in three colors teal, red and lilac. Plastic is UV protected, so this tub can be stored outdoor also. 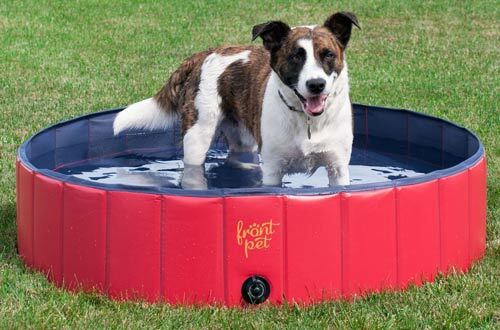 It provides 360-degree access to the dog for bathing and drying. It has open drainage for bath water, no drain plug is available. Rubber bumper at the bottom of legs keeps it stable while the dog enters or exits. And rubberized no-slip floor prevents it from sliding or slipping during the bath. This bath tub has a weight capacity of 125 pounds. 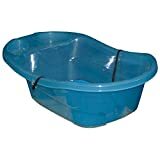 This is budget dog bath tub. 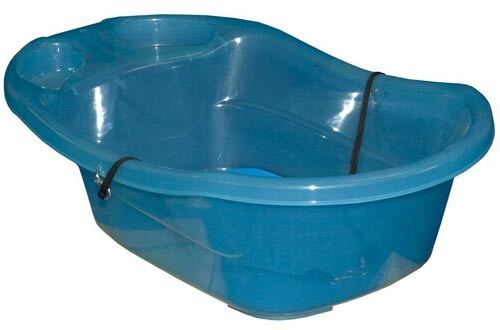 This dog bathtub looks like the baby bathtub and available in blue and pink color. Rubberized grippers are there to prevent slipping of bathtub even on the wet surface. 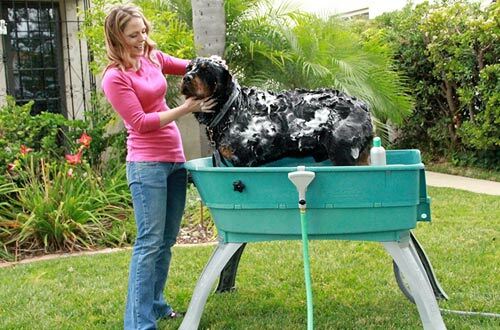 Two tether system allows you to secure your pet during bath process. 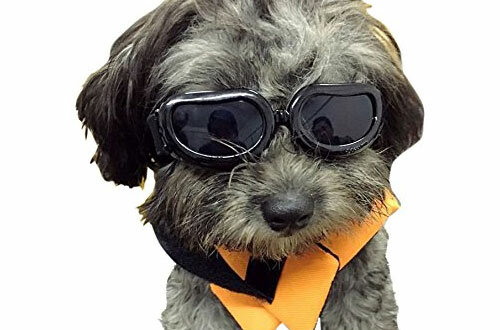 The material is translucent which makes your small dog more comfortable to look around, reduce stress and avoid a dog to be claustrophobic. It has two built-in storage trays for shampoo and other items. 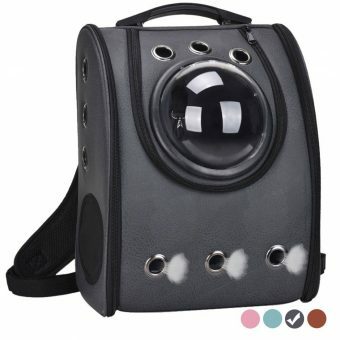 It is ideal for pets up to 20 pounds. 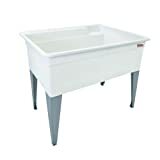 This dog bath tub is ideal for small and medium-sized pets. It is made of UV protected plastic and legs are of stainless steel. 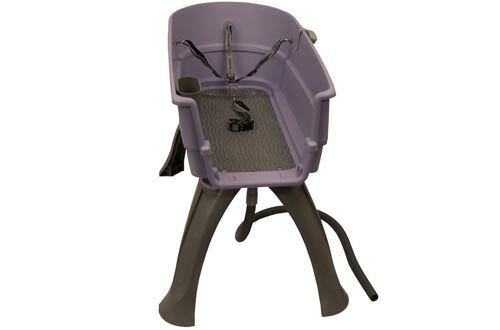 It is adjustable for uneven floor and provides 360-degree access to the owner while bathing the dog. The material used is lightweight which makes this bathtub portable. 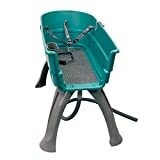 The tub is quite easy to assemble for use and dismantle after using. Its small size can fit in the trunk and other spaces. Larger dogs can jump out easily, so you need to be careful if you want to use it for bigger breeds. 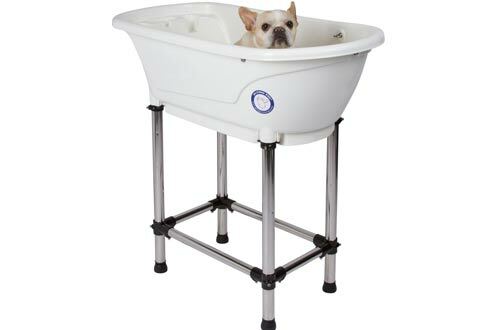 This tub accommodates small and medium size dogs. Maximum weight capacity is 150 pounds. 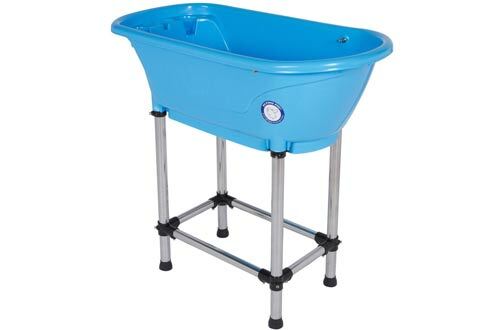 Legs/stands are manufactured of steel and basin is made up of UV protected plastic. The legs have inbuilt levelers which do not topple over on the uneven surface. 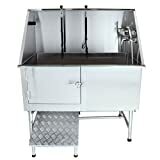 Like other product from Flying Pig Grooming, this one is also easy to assemble, dismantle and storage. 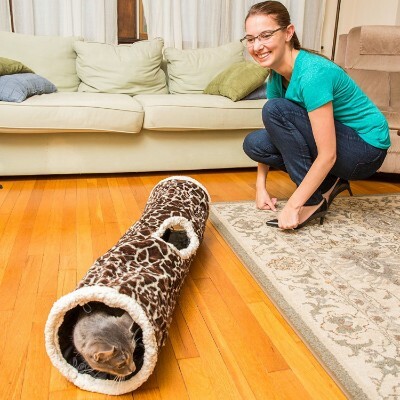 It also provides 360-degree access to the owner while grooming the dog. 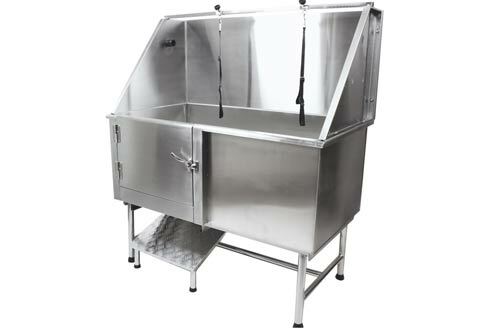 This bath tub provides containment and elevation of your pet, with 360-degree access to the dog for easy grooming. The plastic material is UV stabilized that can be stored outdoor also. It is great for using indoor and outdoor. Drain hole helps in the easy draining of bath water. Rubberized bumpers stabilize it while the dog enters and exit and the rubberized mat avoid slipping and sliding of the dog while bathing. 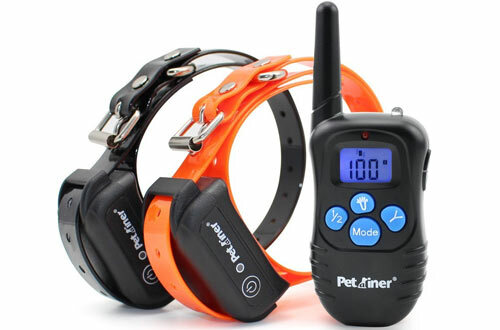 It has three-point restraint system with removable collar to hold your dog in a secure position. This is an ideal choice for medium size dogs up to 75 pounds, and dimensions are 33″L x 16.8″W x 33″H. It is manufactured from portable, durable, lightweight and UV protected plastic and comes with one year warranty. It is good to use indoor and outdoor, and UV protected feature makes it great to store outdoor also. Rubber bumpers stabilize it and rubberized mat prevents any form of sliding. A built-in drain hose comes in handy to provide easy drainage. 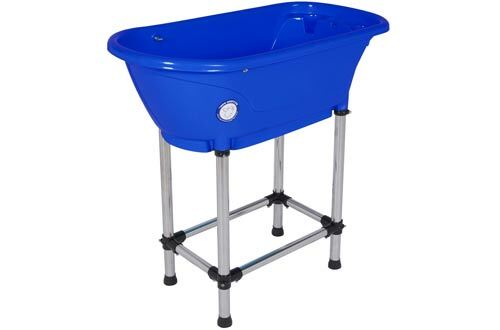 This is a one-piece molded bathtub with basin made of polypropylene, legs with heavy gauge steels and adjustable levelers. It features large and self-draining back shelf and stain resistant white finish. It is quite easy to install. 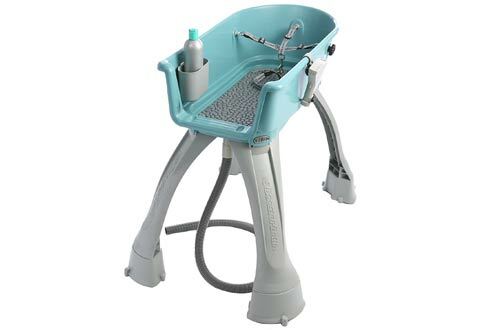 It can accommodate dual handle faucet with four or eight inches center. Its components are mold resistant. Legs are a little flimsy and are not enough to keep the legs quietly in a place. But that’s not a big deal you can add some braces to stabilize them otherwise this is the perfect product. 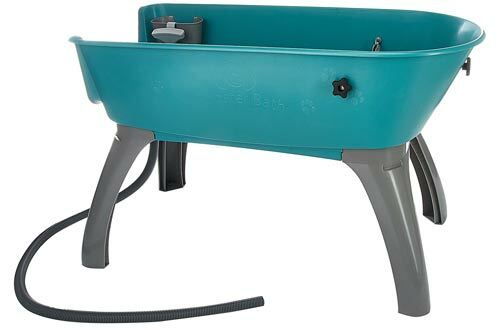 This dog bath tub comes in an all-steel construction for long lasting use. 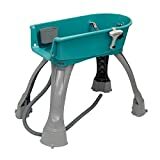 It contains 2 separate hose attachments and built-in drain. It has two piece removable floor gates that are adjustable to accommodate to small and large dogs. Talking about durability, it can last for up to ten years. 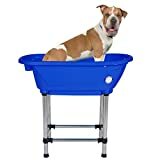 The bathtub very good to buy as it is ideal for any size of the dog. The price tag on this bathtub is high and that meets the expectations in terms of quality and durability.